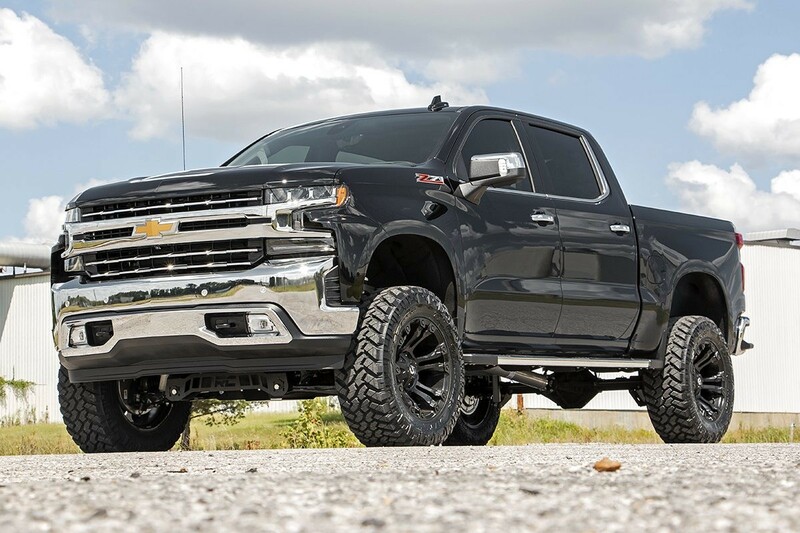 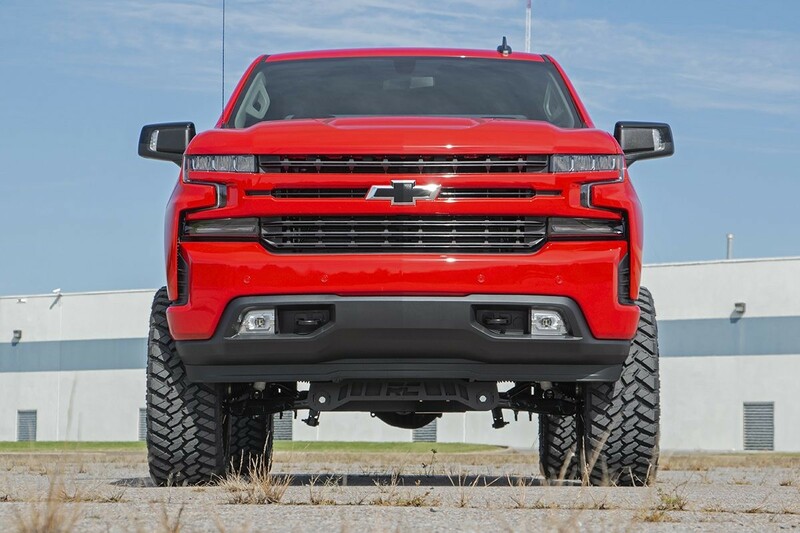 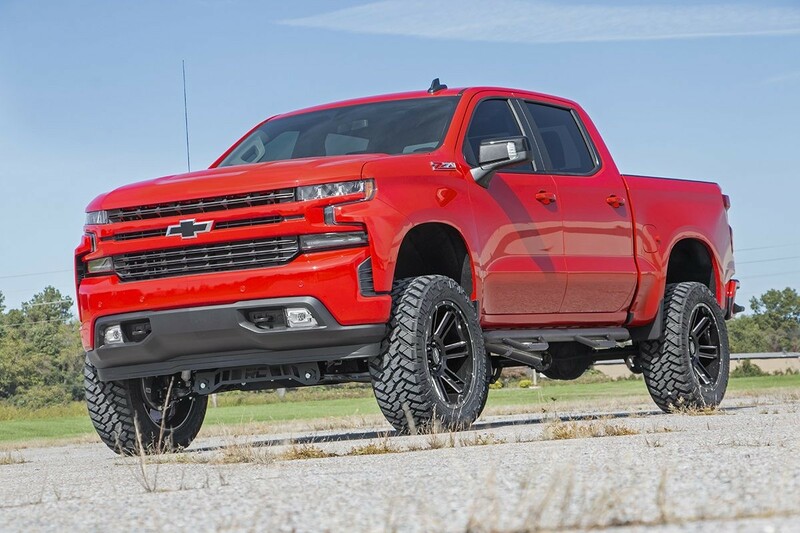 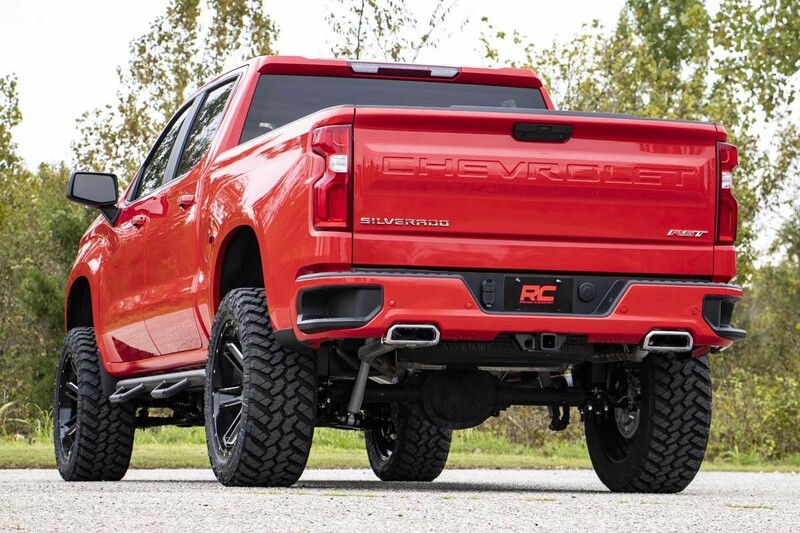 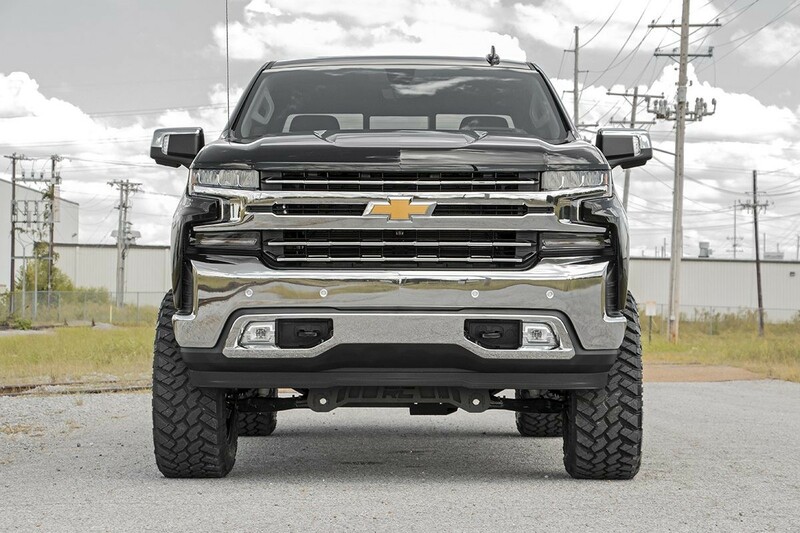 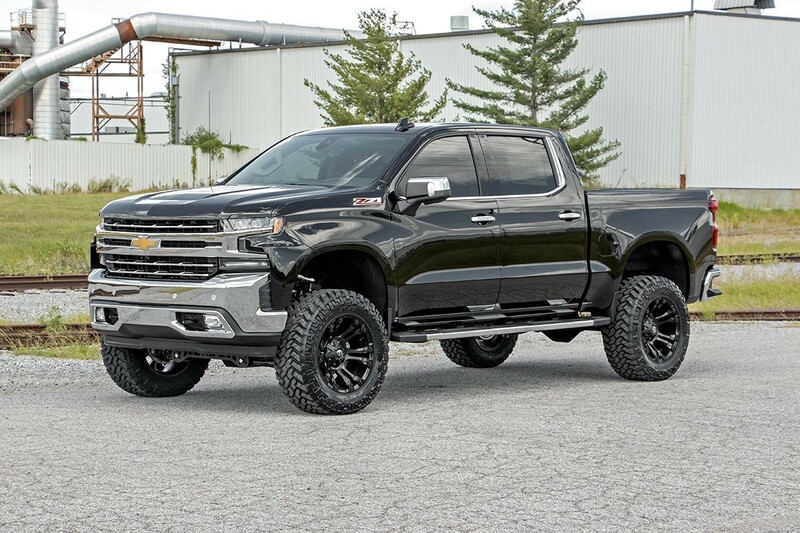 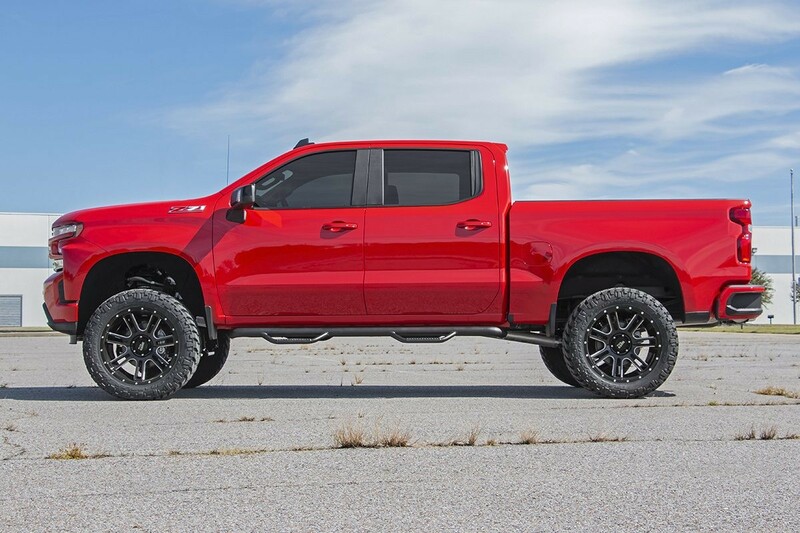 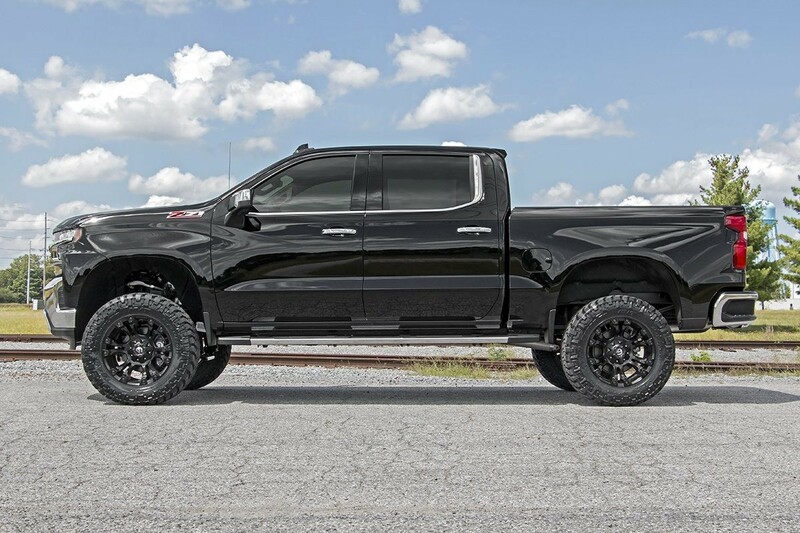 Chevy's 2019 1500 features an impressive all-new design that’s built from the ground up, with aggressive angles and head-turning stylings that fit in beautifully when transformed with Rough Country’s 6in Suspension Lift. 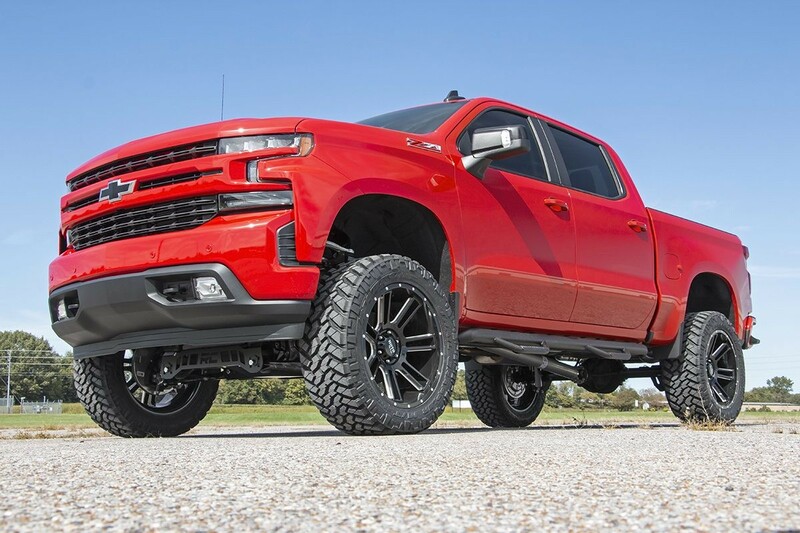 This kit lifts and levels your vehicle for a commanding stance and enough clearance to run 35x12.50 tires on 10in wide wheels. 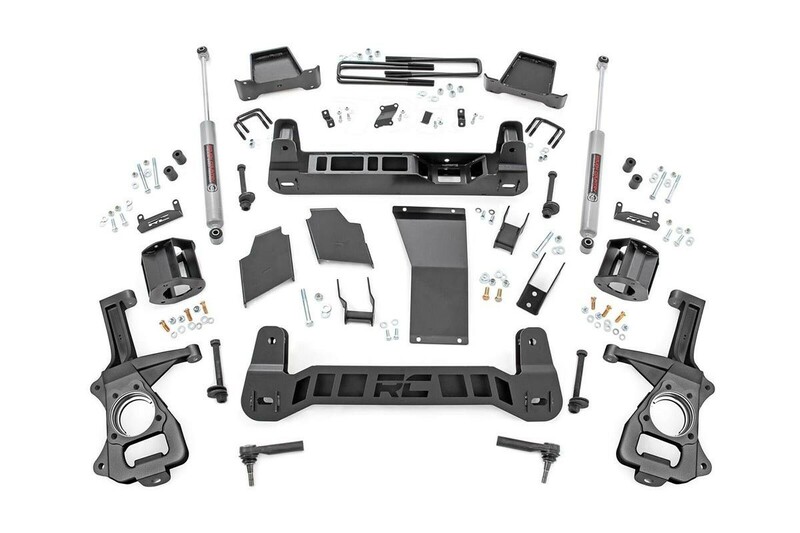 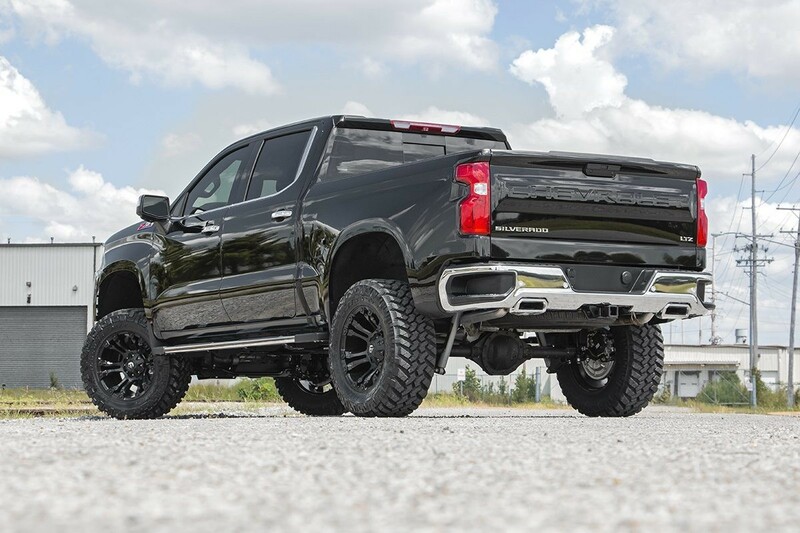 Rough Country has engineered this kit to provide optimal suspension geometry while retaining the factory ride quality, giving you enhanced off-road capabilities without sacrificing the handling and smooth ride that makes this truck so impressive. 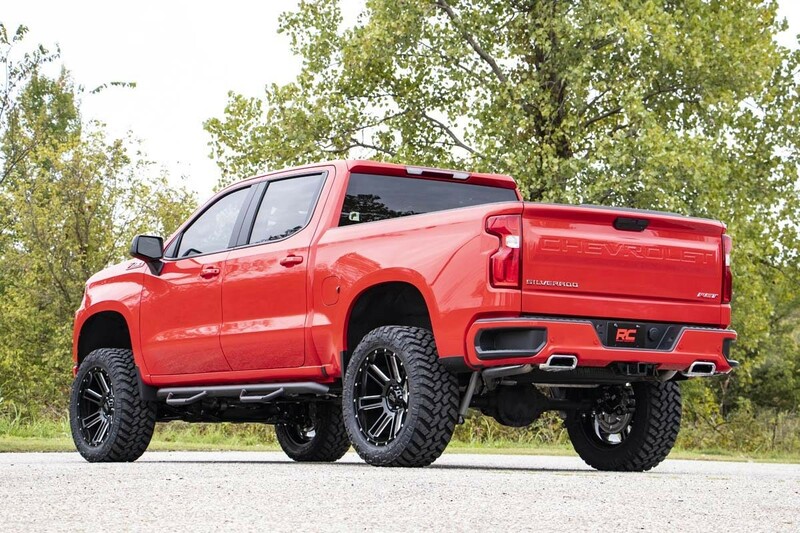 20-inch or larger aftermarket wheels are required.